Wow what an adventure the boys had on their two week UK tour. 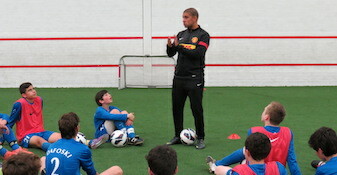 Being coached by professionals from cubs like Manchester United, Manchester City, Stoke City, West Bromwich Albion and the English FA. Playing games against EPL academy sides, Tottenham, Stoke City and Sunderland, visiting Tottenham’s brand new multi million pound, state of the art academy. Watching EPL games between Man Utd v Tottenham, West Ham v Sunderland. 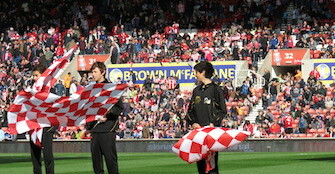 Forming the guard of honour at the Stoke v Swansea match. Experienced the UEFA Champions League game between Man City v Borussia Dortmund. The boys also had time to take in some sightseeing, with a visit to Buckingham Palace one of the highlights. 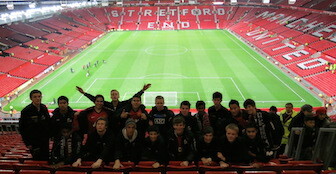 Not only did all the boys have a fantastic time, they got to live and breathe football. Coming back home with great memories and a much better understanding of what life is like as a professional footballer. We have one very tired lad tonight, but Ewen has hardly stopped talking about the tour. He has clearly had a great time & quite ‘wowed’ by the stadiums & training facilities.